Lift, Clean, and Place: What Happened To The Handicap? -Congratulations were pouring in on social media for Brandt Snedeker for winning the Wyndham Championship yesterday. You could argue he won it on Thursday with a first round 59, but he still had to play some excellent golf to hold off Webb Simpson and CT Pan. 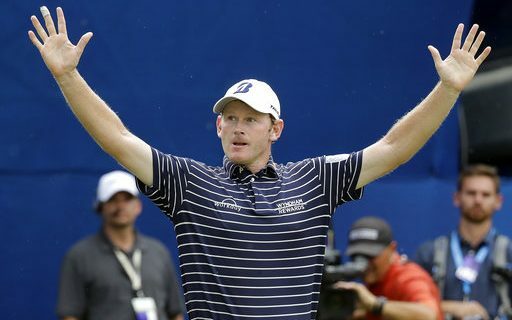 Snedeker played 29 holes on Sunday (suspended play from Saturday) and finished his third round with a 67 and followed that with a 5 under par 65 for a three shot win. Sneds (what everybody calls him) worked his way back this year from a rib/sternum injury that kept him out nearly 6 months. The victory was the 9th of his career, two more than Matt Kuchar. I think they have comparable careers, and they are the most accomplished player on tour without a Major victory. They do have some large victories to their credit. Kuchar won The Players Championship, and Snedeker won The Fed Ex Cup. -The Web.com wrapped up it’s regular season yesterday at the Portland Open. Following conclusion of play, the top 25 players on the money list received their PGA Tour cards for next season. A couple of players I’d like to point out are K. H. Lee and Roberto Castro. I played with Lee at the 2017 LECOM Health Challenge Pro-Am at Peek n Peak Resort. His ball striking during that round was phenomenal. His putting, not so much. I recall Lee having 10 putts inside of 10 feet for birdie (I’m not exaggerating) and missing all of them. The only putt he made that day was a 15 footer for eagle on the 18th hole. He obviously put the work in an corrected his putting woes to finish 7th during the regular season. I look forward to announcing some of his shots next season on PGA Tour Radio. Castro’s story is pretty cool too. He won the 2016 Wells Fargo Championship on the PGA Tour, but time ran out on his exemption for winning. He was back on the Web.com Tour this year and needed some heroics on the finishing hole to make the top 25. 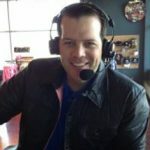 Castro needed to make an eagle on the finishing par 5 to avoid the Web.com Tour finals where 75 Web.com Tour players battle against PGA Professionals that didn’t retain their card this season. You figured out by now that Castro did make his eagle, and that big bird soars him back to the PGA Tour. -The PGA Tour Fed Ex Cup Playoffs start this week with the Northern Trust Open. The top 125 players will work their way down to the final 30 for The Tour Championship over the next few weeks. There were a few players that were on the bubble that didn’t make it. Sergio Garcia was the most notable. He headed into last week 128th, and finished 130th. It was not the best season for the 2017 Masters Champion, but don’t worry, he’ll remain on Tour through his exemptions. The guys to feel for are Tyrone Van Aswegen and Martin Piller. Van Aswegen was right on the cut line, 125th going into the Wyndham and finished 127th. Piller was 124th and finished 126th, one spot out. Both were a lip out away from making the playoffs and keeping their card for next year. To make it worse, both players missed the cut, thus their cards, by one strokes. What has happened to the handicap? Maybe nothing. I pose the question because there seems to have been a shift in the value of it. I want my handicap to be as low as it possibly can be. It’s currently 8.0. Others want their handicap “healthy” for tournaments so there’s a cushion against the inevitable sandbagger they will face. Let’s add the vanity cap label to the discourse on the course. Can’t we all just get along? Play–Play golf. It’s a great game for fun and competition. Post–Enter your scores after each round. -The Tee 2 Green radio show had a very nice visit to Donald Ross Sportswear headquarters for our radio show this past weekend. CEO Rob Stein joined us to tell the story of the brand and why it’s based in Buffalo. I encourage to watch and listen to the show via the link below, and wear their great gear. If your pro shop doesn’t have it, be sure to ask for it!